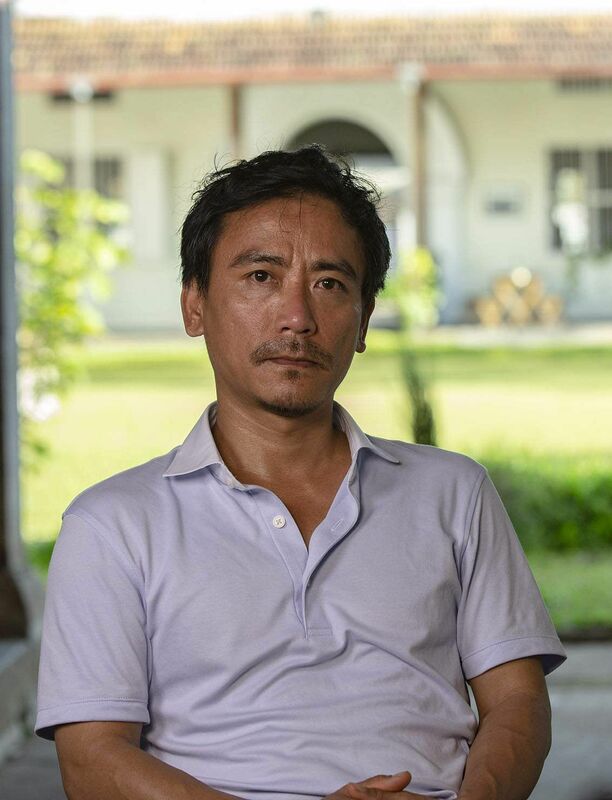 The artist, who hails from Nagaland, is showing three multimedia works at the ongoing Kochi-Muziris Biennale, and remains deeply inspired by his roots from the hilly northeastern state where he grew up, in a pristine village called Lapa, in Mon district. The central piece of Longkumer’s work Gods Summit, being hosted at Aspinwall House, introduces viewers to the idea of an imaginary congregation of divine beings. Here, a selection of images are distinguished by the numerous forms and tongues in which they have been conceived of, and imagined, over the course of civilisational history. His intention is to work with “The implicit idea that these gods present different philosophical positions,” explains the 42-year-old artist, who did his MA Graphics from MS University, Baroda. “With it comes varied interests, politics and lives... You see the emergence of a cacophony of lighthearted and grave voices — agreeing, disagreeing and sharing.” At the core of his practice, Longkumer explores issues relating to socio-cultural traditions in ethnic societies, and the correlation between communities in the microbial world and our own. 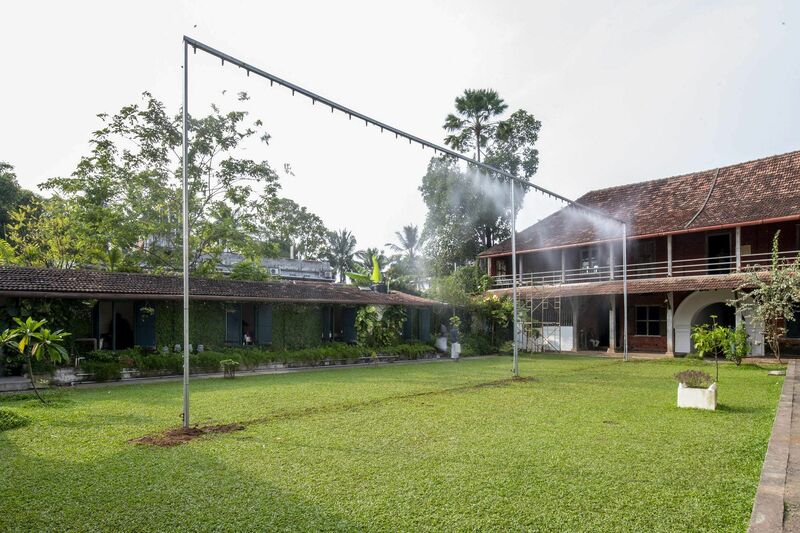 Longkumer’s second installation, at Pepper House, is Kerala-centric and stands as a symbol of hope after the recent floods that hit the state. Catch a Rainbow II attempts to make a rainbow that is visible both during night and day. This work, he says, also symbolises the Supreme Court ruling against the IPC’s Section 377. The artist’s third work, showcased at MAPS Projects, is Aye, Aye My Suntanned Lullaby. Another offshoot of Longkumer’s nostalgia for home, here, he blends with it the rituals, tradition and the politics of Nagaland. The video installation Aye, Aye My Suntanned Lullaby is set in a morung — a kind of bachelor’s dormitory for the village youth. “Young boys at the age of six or seven remained there till they married and set up their own independent house,” explains Longkumer. In this work, the artist captures the community’s drumming practice. From this unique vantage point, through the filter of a disappearing culture based on local wisdom, viewers are able to watch passersby and glimpses of military occupation of the region. Those experiences, Longkumer says, are always at the back of his mind. “When they tend to contrast with your present, they stimulate you. And feed into your work,” he adds. 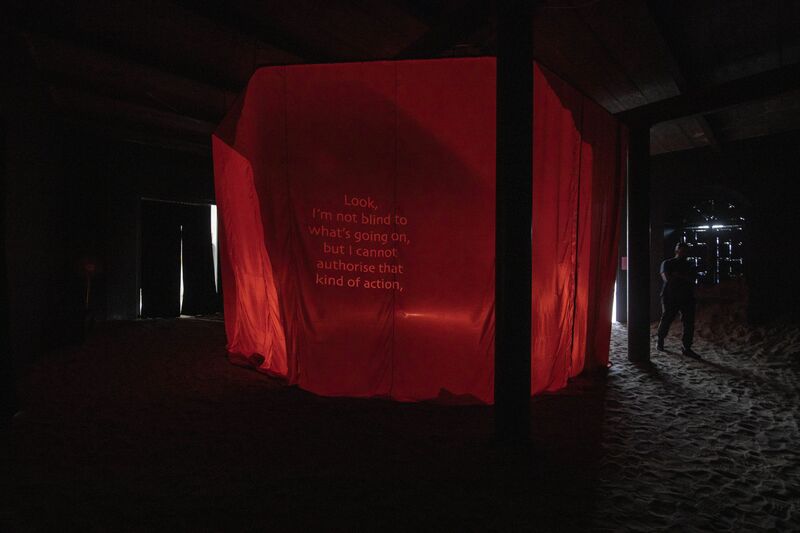 The artist took time off to give us a few of his thoughts about the ongoing Biennale. 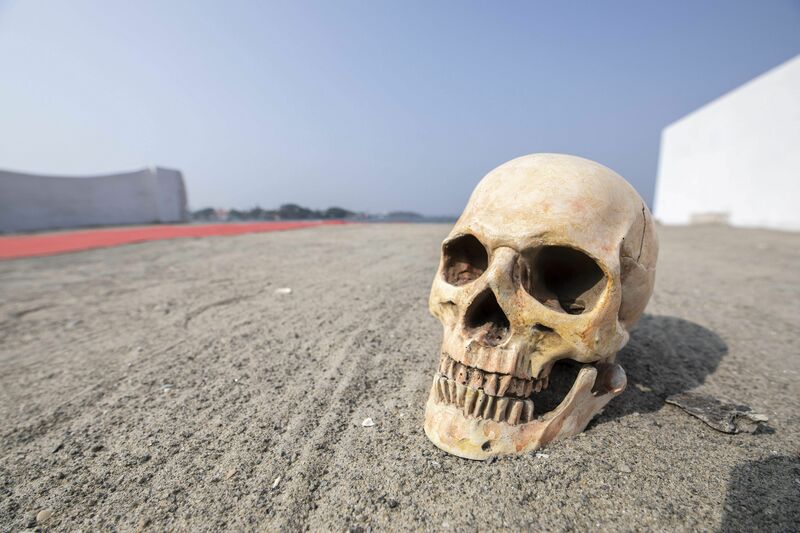 What is the larger role of art at the Biennale? The Biennale is a great way to present the people in the region and the country as a whole, to get a glimpse of art being practised in different parts of the world. It is also a good platform to nurture local talent and inspire future artists from the region. Art at large has the ability to bring social progress, and the Biennale offers a platform for people to engage and interact with diverse schools of thoughts in one place. Tell us a little about the subjects of discussion that you’re looking forward to engaging with, at the festival. 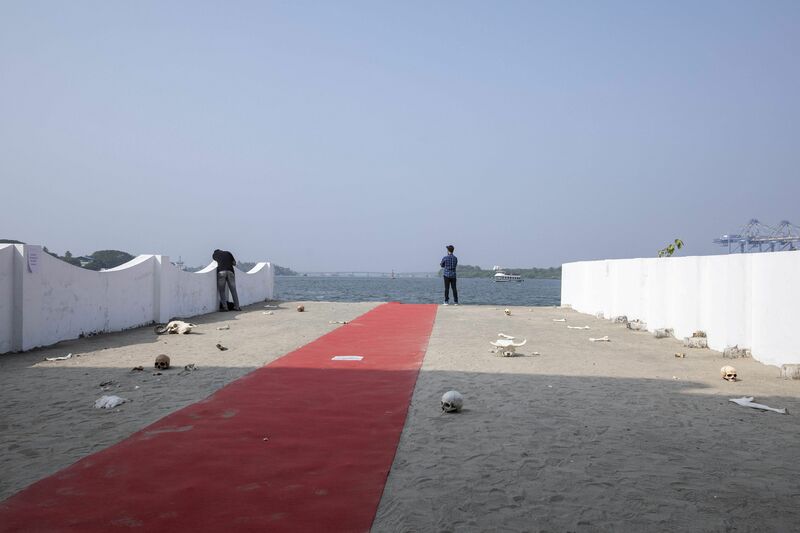 There are many interesting discussions lined up over the duration of the Biennale, and unfortunately, I was in Kochi only for a few days. During my visit, one topic that often cropped up was on gender issues. This is a crucial and one of the most fundamental problem plaguing institutions and societies as a whole and needs to be discussed. It was great to see people bringing up the topic, and I hope the Biennale provides a healthy atmosphere to discuss them. How do you envision various streams of art coming together at the Biennale — from fine art and visual arts to public installations, performance and video, with a fair bit of music and food in the mix as well? How much of this will actively open up the art from inside white cube galleries to a larger platform, for more people to access and enjoy the art? A very big congratulations to Anita Dube and her team for their bold curatorship. I was particularly impressed to see so many lesser-known, yet extremely talented artists from around the world, who often don’t get invited to such events. This is a radical move, and I hope future Biennales take forward this brilliant initiative.There was a strong mix of events, both indoors and outdoors. I thought Cabral Yard was a brilliant addition, and provided a great venue for talks and performances. I hope people get to partake in the many art installations and events that the curators have lined up across the sites. Give us your personal notes about your stay, and time spent at the Biennale. What are your own expectations of the project that you are involved with, at the festival? I had technical problems installing my three works, which unfortunately resulted in me missing out the opening two days. The problem has still not been resolved and I am disappointed with that part of the Biennale. Several other artists seemed to have faced similar problems and it is something the organization needs addressing. After all the tremendous time and effort by the artists, the curatorial team, the assistants and the day to day labourers put into making the Biennale a success, especially those that are site-specific projects, it is very frustrating, especially for entry fee paying public to be denied their money’s worth. I say this with the best possible intentions and interest for future Kochi Muziris Biennales. Otherwise, it has been a wonderful opportunity to be a part of this Biennale and experience the brilliant hospitality and the natural beauty of this part of the country. My three works at this year’s Biennale — Gods Summit, Catch a Rainbow II, and Aye, Aye My Suntanned Lullaby — were made in response to past and current socio political issues, particularly in India. I believe these works, though very different from each other, embrace Anita Dube’s theme in their own individual ways. I would be happy if the viewer leaves the venue with some sort of food for thought. Do you believe it is necessary that contemporary art must be political, or activistic in nature, or at least deeply intellectual, in order to make a seemingly greater impact? Also, how would you like to get people to take that added moment, to make their opinions, and enjoy the art for themselves — especially given today’s hyper social media-driven culture? 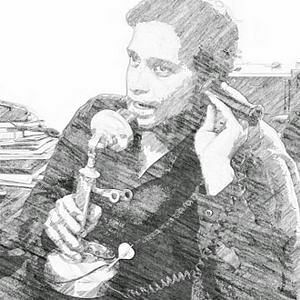 An artwork communicates with a viewer in all sorts of ways, and I do not think an artist needs to resort to a popular genre for the sake of being out there. There has always been art that is political and activist in nature, and long may it continue, for it is truly an effective tool. The vital thing here, is to be true to yourself. We are flooded with information from the ever-evolving news portals and social media… and they are here to stay, in some shape or form. It is important that we learn to consume them wisely, and mindfully. Art is ever evolving too, and with artists increasingly adopting new media, social media could play an effective role to introduce and bring people to engage with art. Free guided tours available every day at Aspinwall House at 11 am and 3 pm.